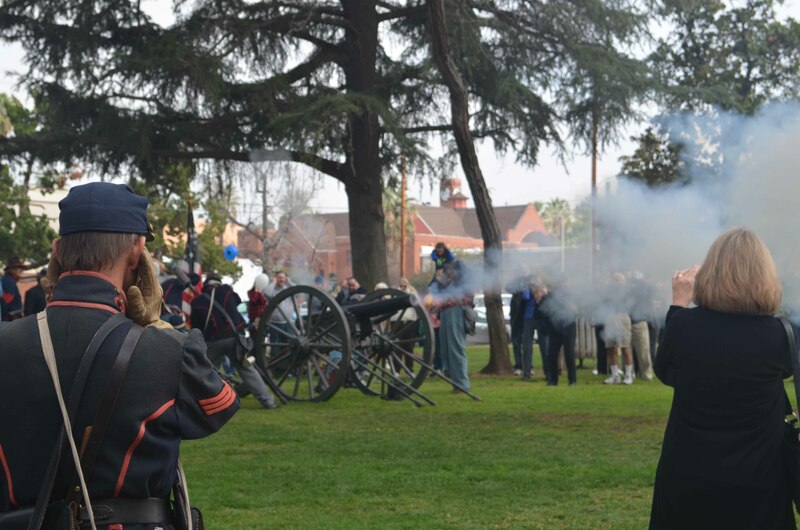 Celebrate President Abraham Lincoln at the 47th annual Lincoln Shrine Open House on Saturday, February 9 from 11am to 3pm at the Lincoln Memorial Shrine and Smiley Park. The day will feature live music, Civil War reenactors, and a chance to see “Reflections of the Face of Lincoln,” the most life-like animatronic Lincoln ever created. The event is free and open to the public. You won’t want to miss it! The Lincoln Memorial Shrine is a part of the division of Special Collections of A.K. Smiley Public Library and is the only museum and research center in the west focusing solely on Lincoln and the American Civil War. The museum is located at 125 W. Vine Street in Redlands. Admission is free. For further information, please call 909-798-7632 or visit www.lincolnshrine.org. A.K. Smiley Public Library is excited to announce that The Heritage Room is expanding opportunities for researchers by opening to the public on Tuesday afternoons, 1-5pm. Established in 1972, the Heritage Room strives to collect, preserve, and make available historical materials relating to Redlands, San Bernardino County, Southern California, and the West. The division also includes the collections of the Lincoln Memorial Shrine, a museum and research center focusing solely on Abraham Lincoln and the Civil War. “The Great Recession hit Redlands hard, and unfortunately the Library was forced to significantly reduce service. Thankfully, as the economy has improved over the last several years, we have been able to gradually move toward the level and quality of service that Redlanders have long expected from the Library,” remarked Nathan Gonzales, Archivist and Head of Special Collections. The reinstatement of Tuesday afternoon hours makes it easier for everyone to stop by and learn the history of a home or business, find historic photographs of the community, or see original letters from the Civil War. The Heritage Room also accepts donations for the Lincoln Memorial Shrine and the future Museum of Redlands. The Heritage Room is open to the public Tuesdays, 1pm-5pm and Wednesdays-Saturdays, 10am-12pm and 1pm-5pm. Although walk-ins are welcome, specialized researchers may find their needs better met by calling (909) 798-7632 for an appointment with an archivist. Have you seen “Reflections of the Face of Lincoln” yet? Created by Garner Holt Productions, the attraction masterfully combines theme-park magic with historical interpretation to create a truly unique experience for audiences of all ages and brings history to life in a way never-before-seen in the Lincoln Memorial Shrine. Since opening to the public in July, the innovative attraction has drawn thousands of visitors to the museum. Generous gifts from Shrine supporters have allowed school tours to see the attraction at no cost. While originally slated to close in December, its stay has now been extended through March 31, 2019. This is definitely an experience you won’t want to miss! “Reflections of the Face of Lincoln” show times begin every twenty minutes during the Shrine’s hours of operation: Tuesday-Sunday, 1-5pm. Tickets are $5 per person and can be purchased upon arrival. For more information or to schedule a group tour, please call the Heritage Room at (909)798-7632. Become familiar with traditional music from cultures across the world! Berklee graduate, international performer Sagit Zilberman performs “Songs of Peace,” an interactive global music concert. This concert introduces adults to instruments such as the didgeridoo, space-drum, recorder and saxophone as a part of a cultural journey she has been engaged in, around the world. As her background is in yoga instruction and tour guiding, She traveled in countries such as Kenya, Brazil, Poland and the United States as well as her native country Israel. With her music and story, she aspires to empower her audience to dare to feel the passion in their lives and of course – travel and explore. There will be some optional audience participation.